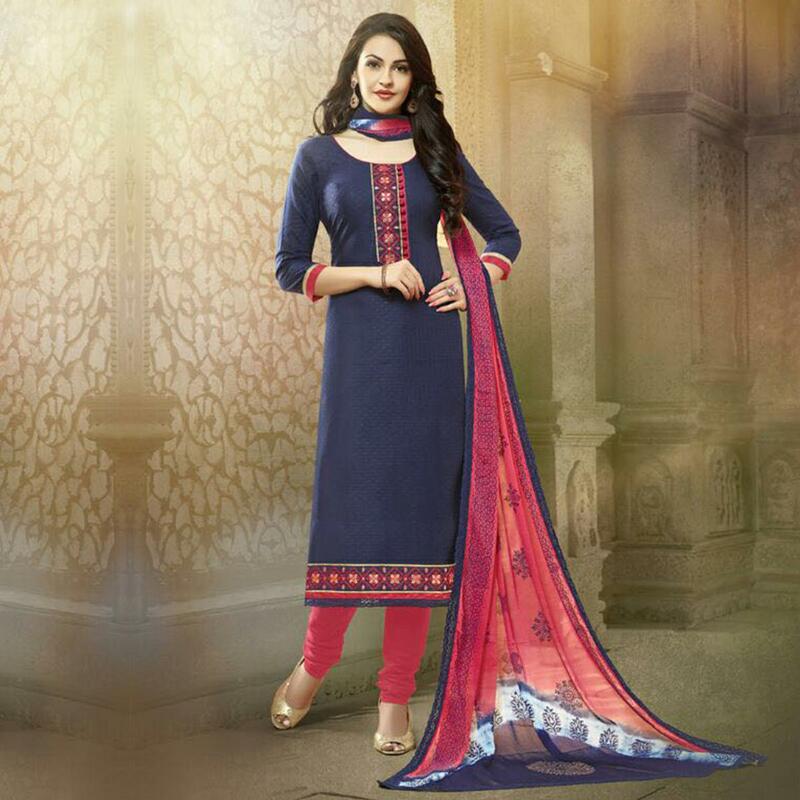 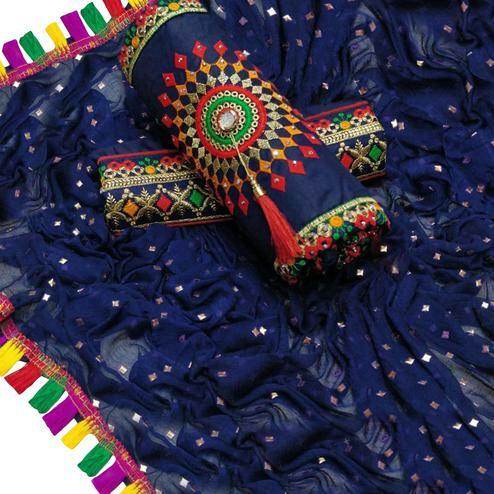 Blue - pink unstiched cotton butti fabric churidar suit detailed with embroidered work at yoke and lace work hemline. 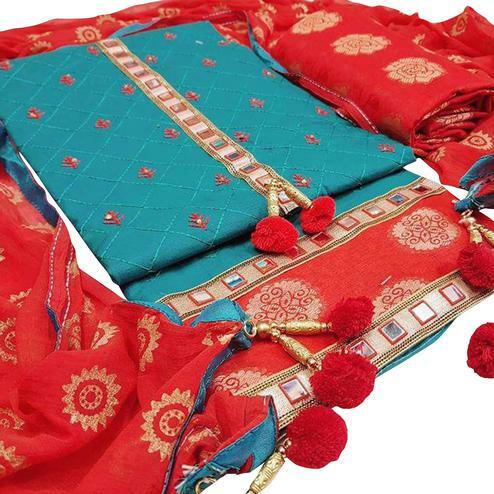 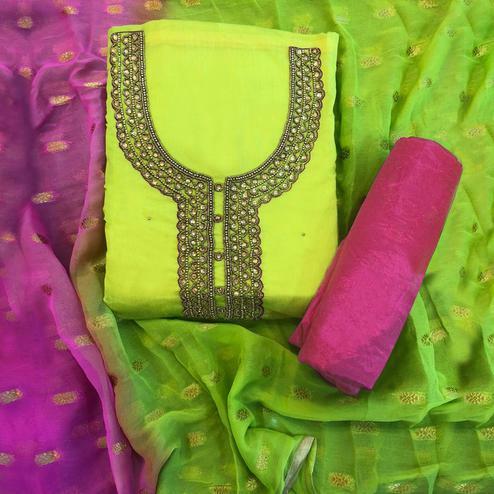 Teamed with plain pink cotton fabric bottom and printed chiffon shaded dupatta having matching color lace. 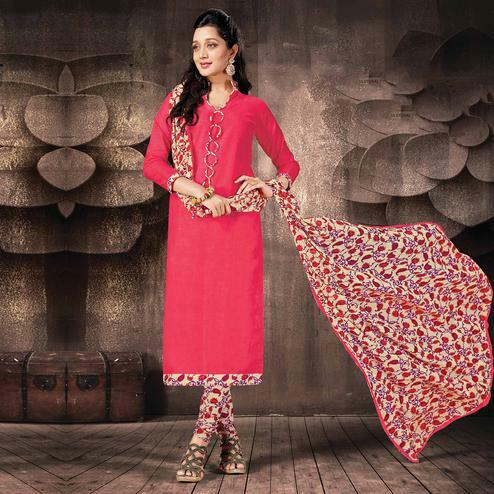 Get this outfit stitched and wear it for your casual and homely events.